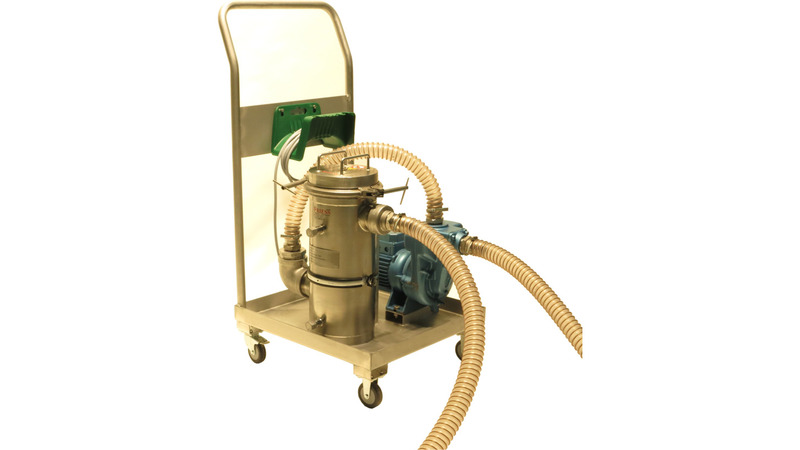 The Friess mobile magnetic filter system FMF removes particles from coolant, cutting oil, grinding oil and other process fluids. Particles, which are smaller than the pore size of the filter media, will pass the filter media together with the fluid. The number of small particles in the fluid will grow continuously. The Friess magnetic filter series FMF removes ferromagnetic particles of all sizes down to 1 µm. The Friess magnetic filter series FMF removes steel particles and iron particles. In addition to that the magnetic filter removes paramagnetic particles like stainless steel, hard metal and other.. In order to clean the magnetic filter system the particles, collected on the magnetic rod, have to be scraped off with a special designed tool. The mobile filter systems are mounted on a cart. The mobile filters are equipped with pump, magnetic filter series FMF, suction hose and pressure hose, cable with plug and motor protection switch. The mobile magnetic filter systems are designed to clean the liquid in several smaller tank.